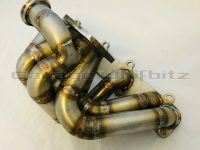 Garage Whifbitz T4 1JZ stainless steel exhaust manifold for the Toyota Supra JZA80/Soarer JZZ30. Made in the UK to our own spec and comes with a 5 year anti crack(subject to useage) warranty from point of sale. 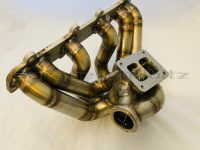 Spec as follows: T4 divided turbo flange, 4mm walled stainless steel construction, 321 stainless primaries, 321 stainless collector, triple pass welded and back purged for seamless internal welds, flanges are 12mm thick 321 stainless, we believe this is one of the highest quality manifolds available in the world. 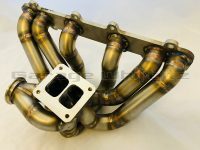 When we tested the 2JZ version back to back against an HKS T4 manifold our manifold made full boost 400rpm earlier proving how good this manifold works. 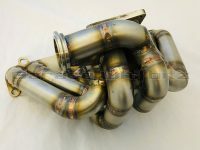 Our manifolds are being used all around the world, drift cars, Time Attack cars, race cars and big power road cars. And we’ve never had a manifold crack. As used on our own highly successful Time Attack Supra’s and by Sats Motorsport Toyota Supra drift car. 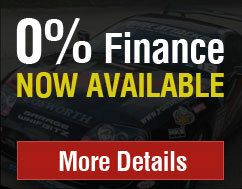 Available for pre-VVTi and VVTi models, available to purchase on our website here.